Ela Manoj Dedhia is a renowned educationist, has been a professor since last 34 years and is heading the Department of Textiles and Fashion Technology, Nirmala Niketan College of Home Science. She is actively involved in organizations of the Kutchi Visa Oswal Community for Empowerment of Women, Youth and Children where she is the Managing Trustee of Matushree Manibai Shivji Devji KVO Kanya Kelavni Fund; Honarary CEO for Education of the 104 year old Shri Hirji Bhojraj Trust which includes Shishuvan School; Immediate Past President of the 70 year old Shri KVO Seva Samaj; Committee Member of 105 year old Sheth Dhanji Devshi KVO Kelavni Fund; Advisor to Palagali School now Orchid International School. Over last two decades she is continuously involved in guiding KVO youth for education and careers in India and Abroad. By education she has acquired Ph.D., MSc, BSc in Textile Chemistry & Clothing securing 2nd Rank at the Mumbai University at Masters. She has acquired several other Diplomas such as Post Graduation in Education Management securing 1st Rank at the SNDT Women’s University; Post Graduation in Higher Education, at the University of Mumbai; Diploma in Textile Designing, Diploma in Computer Aided –Design & Computer Aided Manufacture; Completed Several Courses in Jainism and Sanskrit at University of Mumbai. She is a Recipient of several National and International Academic Gold Medals, Awards and Merit Scholarships during her educational and professional tenure. Few professional recognitions bestowed on her are The Fellow of the Textile Association of India, Bronze Medal of Society of Dyers & Colorist, UK., Kutch Shakti Award etc. She has successfully completed & coordinated several research projects for the UNDP (United Nations Development Fund), Ministry of Environment, Ministry of Textiles; KVIC (Khadi and Village Industries Commission); UGC (University Grants Commission); Corporate Industries; Rural Crafts Clusters in Kutch, Rajasthan and Maharashtra. Since last three decades she has been involved with extension work for empowerment of rural and urban under privileged women and youth, through imparting income generating skills. She has successfully organized several National and International Conferences/Seminars/Workshops for National and International Organizations. More than 100 papers authored by her are published in National and International Journals and she has been invited for presentations at several National and International Conferences in India and Abroad to countries such as Thailand, Japan, Malaysia, Singapore, Switzerland, Australia, Korea, Bradford UK etc. Two books authored by her are published through the 110 year old Colour Publications Pvt. Ltd. namely Ajrakh- Expressions and Impressions and Compendium of Natural Dyes. 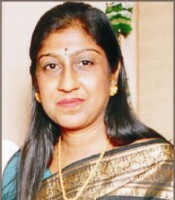 She is an invited Editor and Reviewer for Journal of ARAHE, Asian Regional Association of Home Economics; Editorial Advisor for Design and Art Journal of the International University Jaipur & Journal of Innovative Media; Editor for Research Reach Journal and a Referee for Peer review Journals such as Journal of Textile Association and at several National and International Conferences and Seminars. She is a PhD. Research Guide for both the Universities namely University of Mumbai and SNDT Women’s University. She has successfully guided more than 25 PhD research scholars so far who are themselves leaders in Institutions or in the Industry. She has two patents to her credit and two more in process. She is an invited Visiting Faculty for esteemed Institutions such as the National Institute of Fashion Technology, Ministry of Textiles, Government of India; Apparel Manufacture & Design, SNDT Women’s University; School of Fashion Technology SOFT; Department of Philosophy, Jainology, University of Mumbai. She is regarded with high respect and is an invited Representative for India Zone (9 countries) of the Asian Regional Association of Home Economics, (ARAHE). She is an invited Member of The Professional Awards Committee of The Textile Association of India and an Immediate Past Trustee Chairperson of Society of Dyers & Colorist, India region. She has been an invited/elected Member of Advisory Boards/Boards of Studies of several-esteemed Institutions/universities such as the University of Mumbai; International University of Jaipur; Amity University, Mumbai; M S University, Baroda; Goa University; Neeta Lulla’s School of Design, Whistling woods; Dr B M N College of Home Science, etc. She is an Examiner & Expert for Curriculum Development for various Universities in India, University Grants Commission (UGC) & All India Council for Technical Education (AICTE). On a personal note she is wife of Manoj, an Electronic Engineer and a Research Scientist; she is daughter-in-law of Ratanben Virji Karamshi Dedhia of Kutch village Gundala and daughter of Makaben Premji Ramji Vora of village Pragpur. She is currently residing in Matunga West, Mumbai, India and is a proud mother of two daughters Parmee Viral Gala working as a Clinical Pharmacologist for Wockhardt Hospital, Viral as a Network Engineer for CISCO, residing in Borivali, Mumbai and Kushmi Parth Shah working as a soft ware engineer for Amazon Audible, Parth as an Assistant Vice President, Bank of America, NewYork, residing in New Jersey, USA. Ela is a happy Nani of Divit Parmee Viral Gala.